Vietnam's central bank has been building up U.S. dollar reserves to shore up the dong, which experts have advised should be allowed to depreciate more and better reflect market conditions. "If the dong loses value and we still prop it up, it's not beneficial in the long term," Dinh Tien Dung told Reuters on the sidelines of the World Economic Forum on ASEAN in Hanoi. "It will limit exports and domestic manufacturing, especially since the Vietnamese economy is a trade economy. It needs to be more flexible to support development and growth." 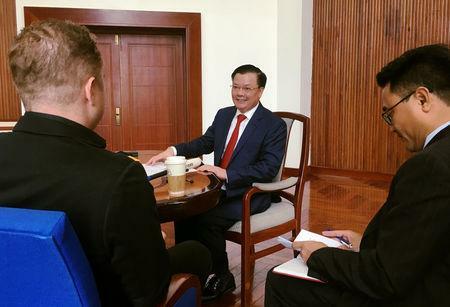 "The ceiling for inflation should be flexible, depending on market movements both internationally and domestically," Dung said. "The 4-percent inflation target should be indicative only and (we) should not be stiff about it ... We are discussing a more flexible approach to controlling inflation." 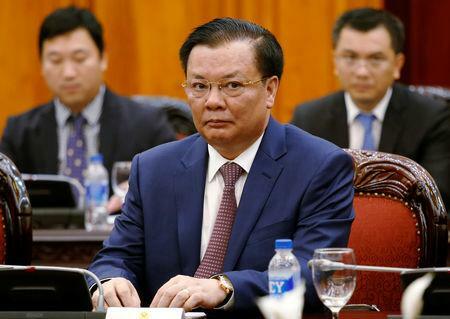 But Dung said Vietnam's public debt was projected to fall to 60 percent of GDP by 2020, from an expected 61.3 percent this year, citing strong economic growth and debt reform. "Public debt at the moment is better, safer and is under less pressure," Dung added. "The rate by which debt was increasing has slowed by almost half and the overall level of debt has decreased, but, most importantly, the quality of public debt has improved tremendously."